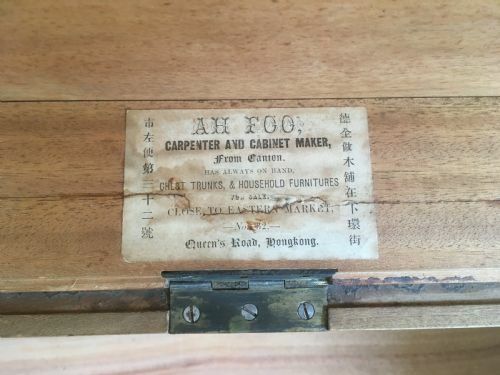 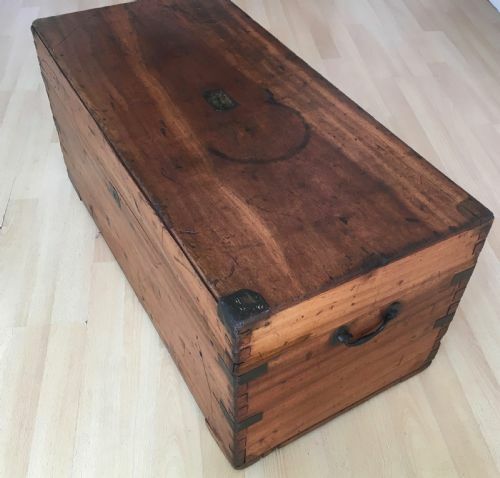 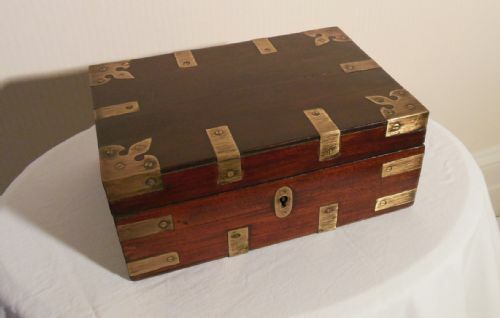 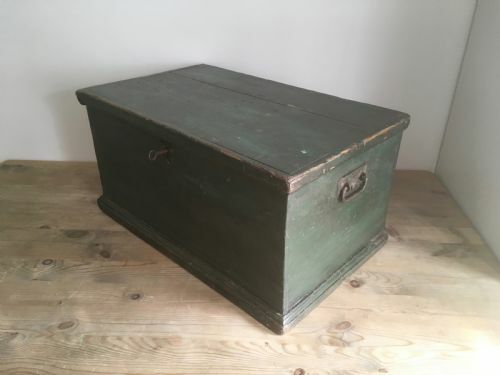 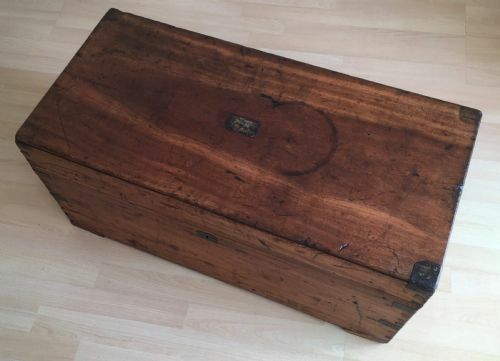 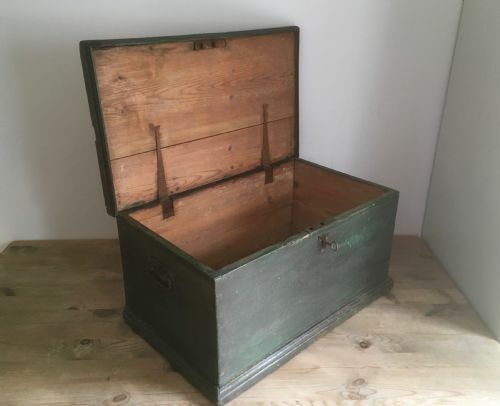 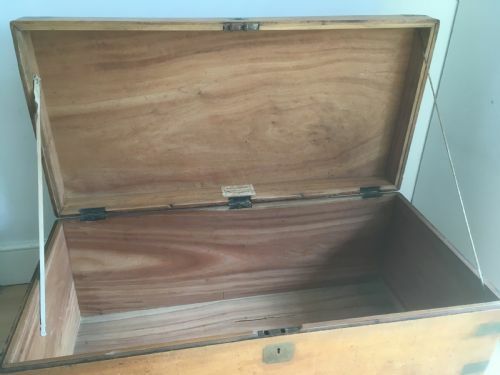 Made in the late 19th Century by Ah Foo, Queens Road, Hong Kong this very original unrestored Camphor wood campaign trunk is in good solid condition with a working lock and key, strong brass carrying handles and brass corner plates. 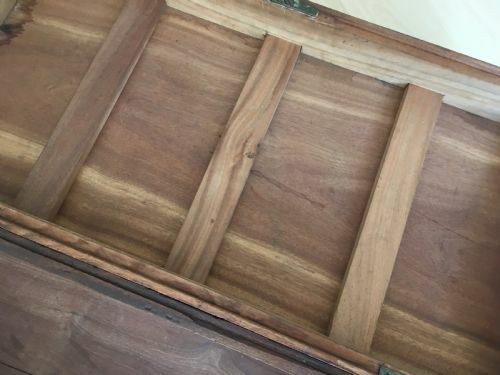 Traditionally for the storage of uniforms and clothes the camphor oil in the wood protects the contents from moths and other bugs. 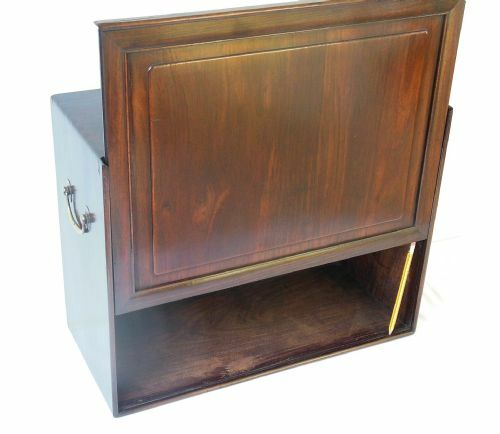 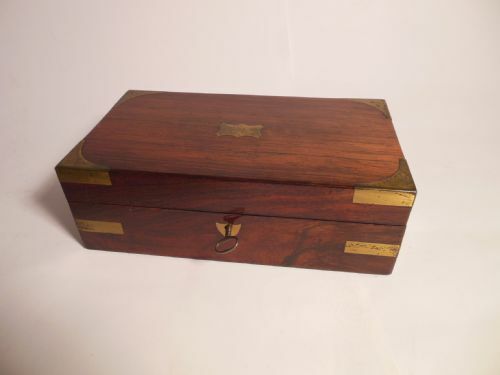 Made of Hongmu or rosewood this Chinese rectangular box has a sliding side panel and two original brass sprung carrying handles, it is extremely well made with fine jointed corners and close tolerances. 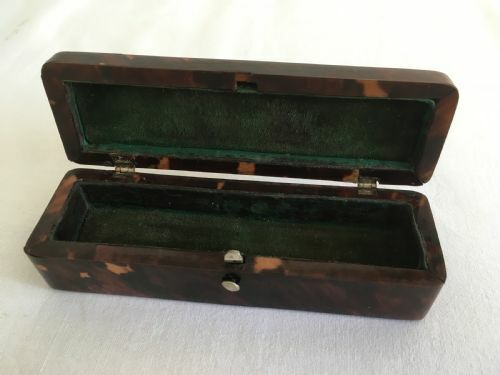 Dating to the mid 19th century or the later Qing era it is assumed to be a very upmarket packing/travelling case probably for a piece of sculpture or porcelain ornament. 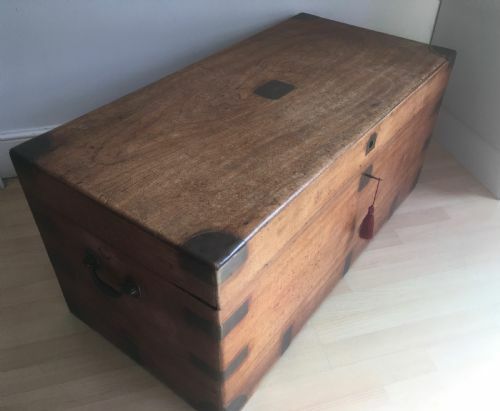 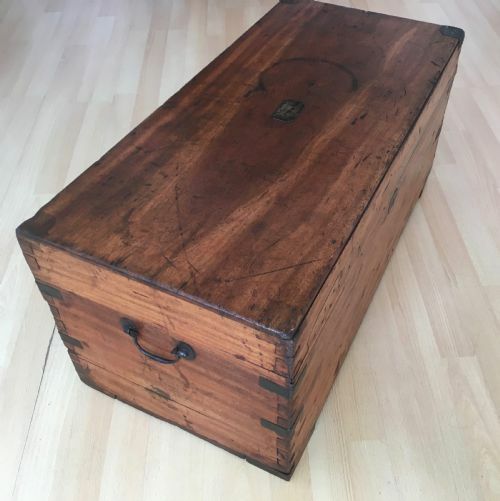 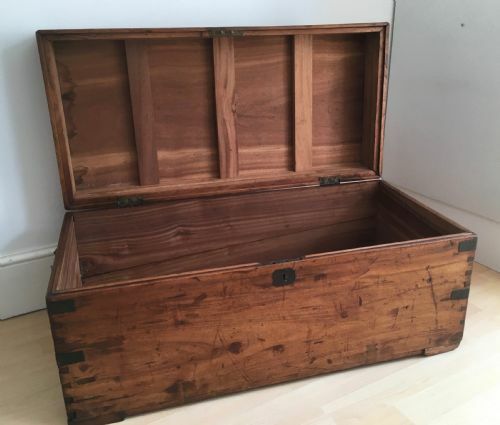 From the estate of a Naval Captain this 19th Century camphor wood travelling trunk was for the storage of uniforms and clothes. 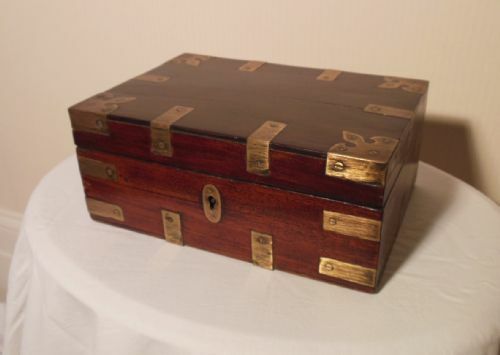 It is in excellent used condition with a warm patina and showing the signs of it's adventures. 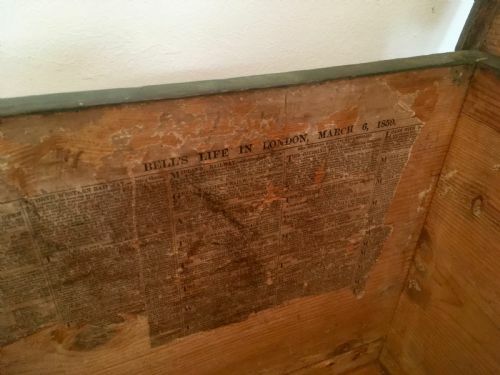 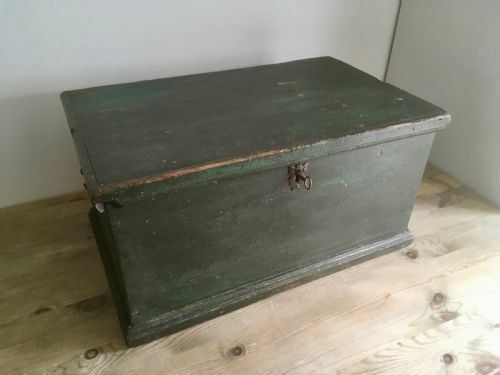 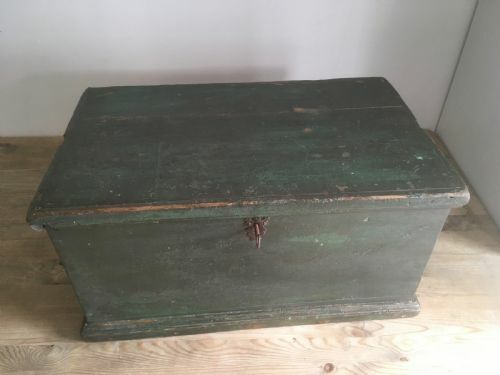 Dating to the mid 19th Century this very original painted pine blanket box is completely unrestored, sporting a fetching bottle green outside, handmade iron hinges, working lock with key, it has been covered inside with old newspapers - hence the clean pine - the remains of a paper dating to March 6th 1859 is still present. 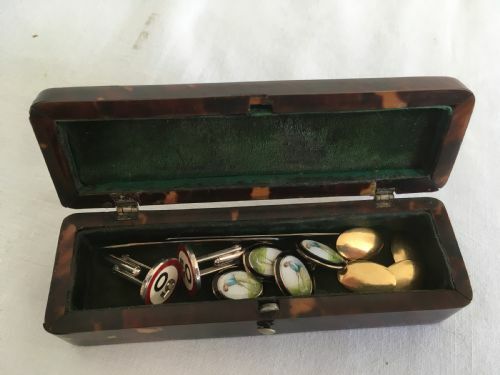 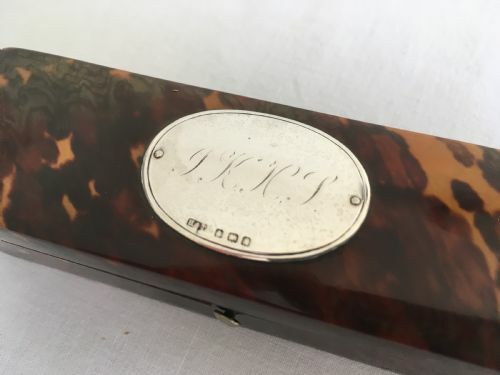 Made for the Edwardian gentleman in Birmingham by Hilliard & Thomason and hallmarked on the silver cartouche for 1908, this elegant stud or cufflink box is in excellent condition. 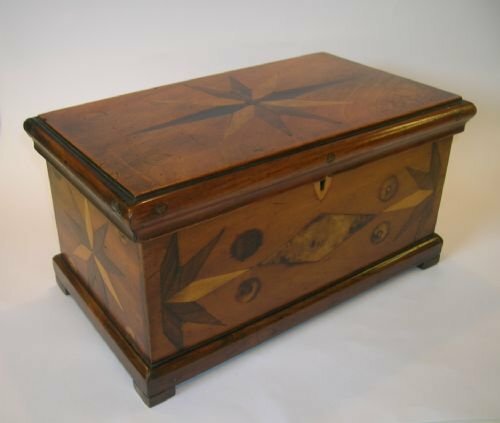 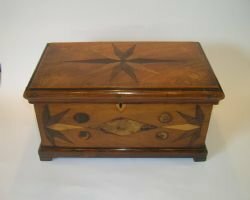 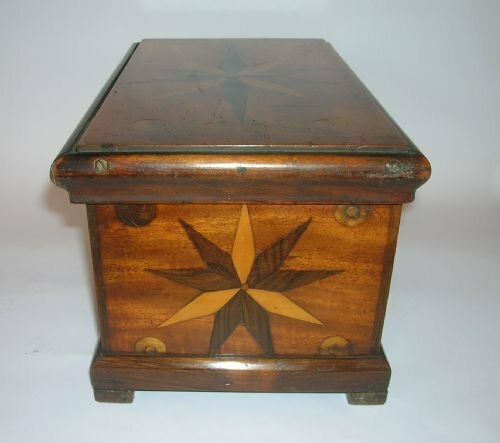 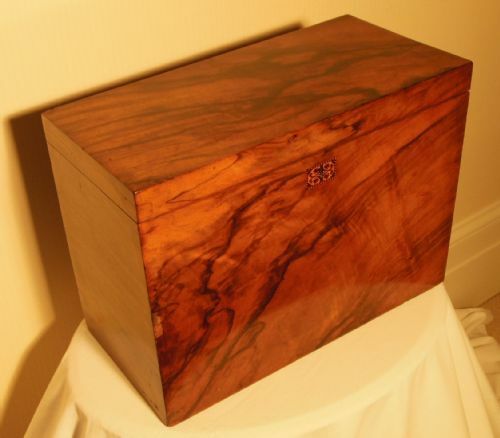 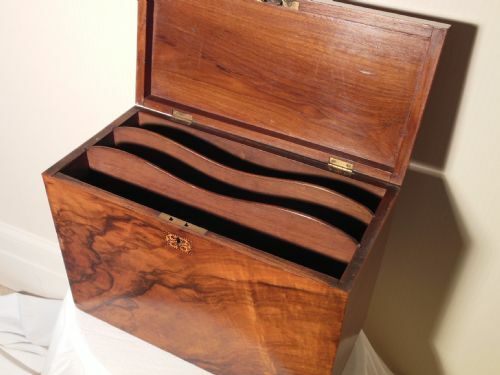 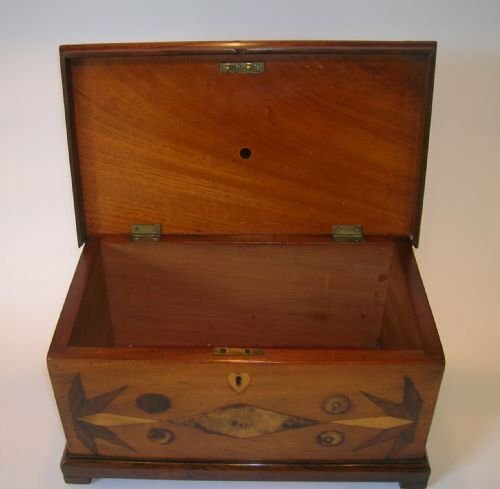 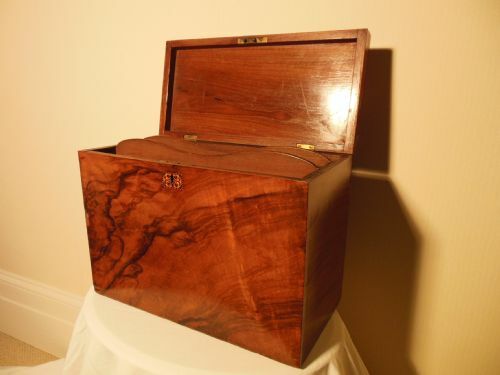 The box has a ten pointed star inlaid on the top and ends, a split star on the back and front, in a selection of woods - mahogany, rosewood, boxwood, burr walnut, and possibly some fruitwoods. 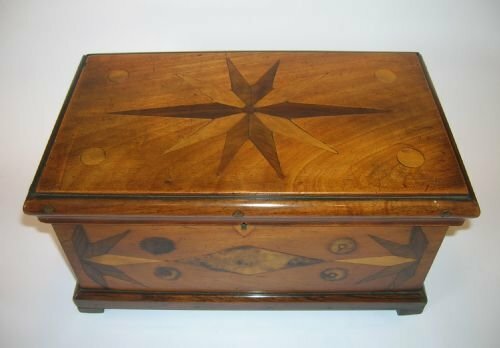 The box has a hinged back piece of edging indicating that this was meant to be open showing something off - the ten pointed star decoration suggests a Masonic connection. 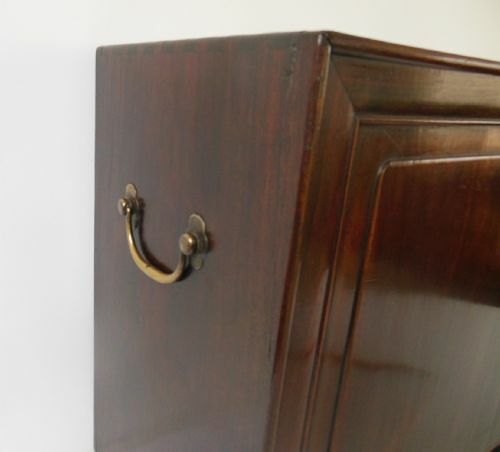 Original and complete, a late 19th century ladies dressing table chest or vanity box in mahogany with mother of pearl escutcheon and top panel with working lock and key. 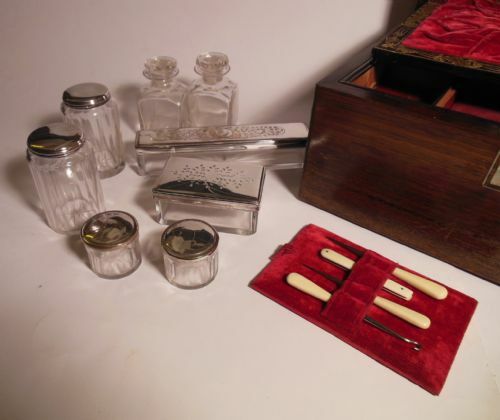 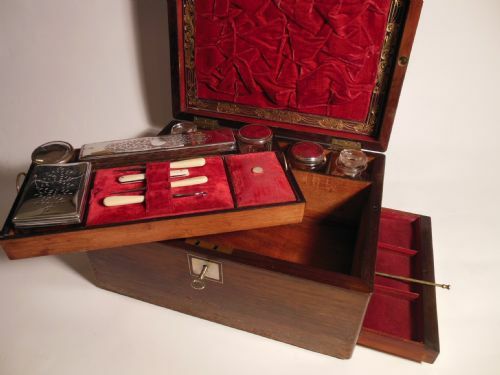 Interior is fitted with silver plated topped jars, trays and bottles, glass pots with glass stoppers, ivory handled implements and a drawer for jewels. 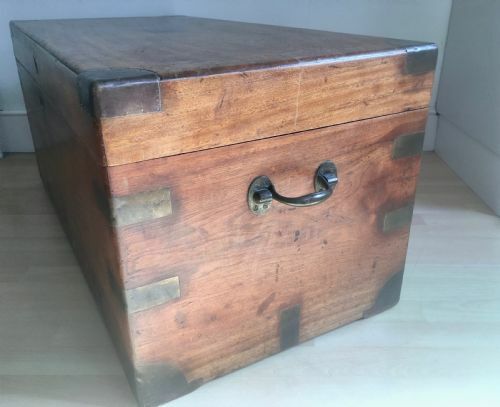 Generally in very good condition, there is some evidence of wear and tear. 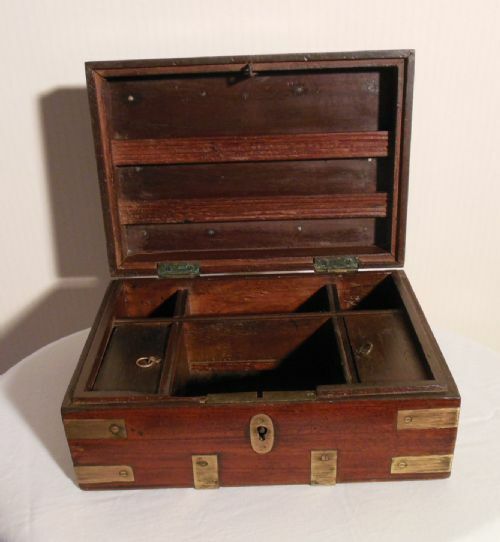 Very attractive and well made rosewood document box with Tunbridge ware escutcheon, with two divisions capable of taking foolscap paper. 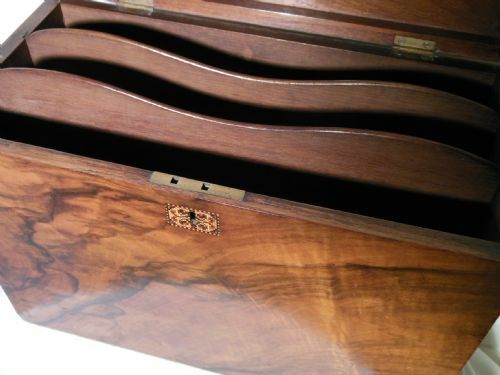 Generally in very good condition, there is a small amount of veneer loss to the front. 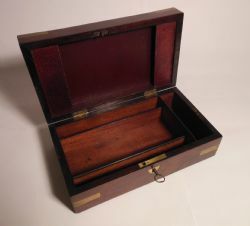 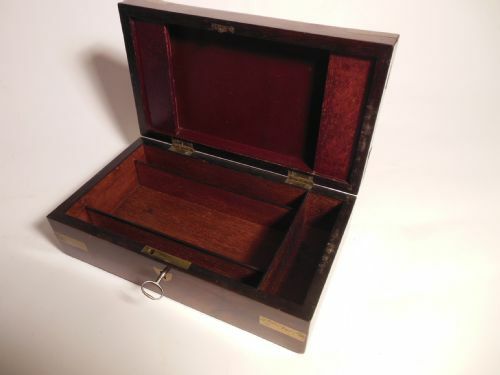 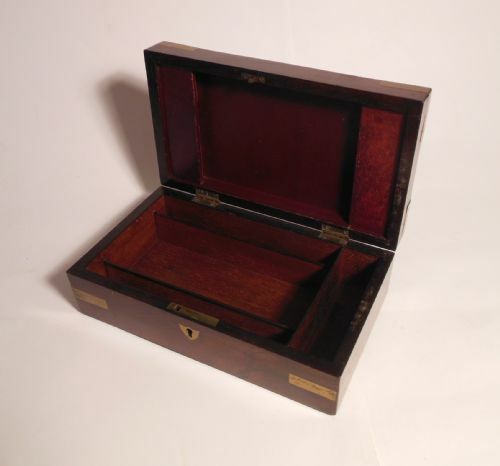 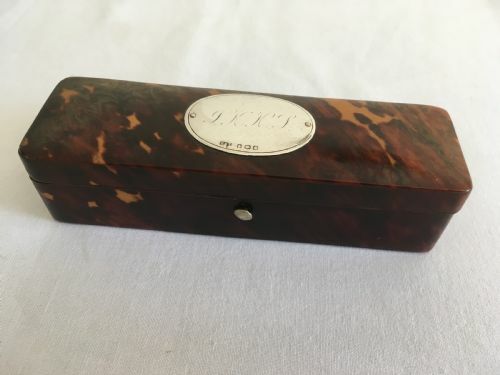 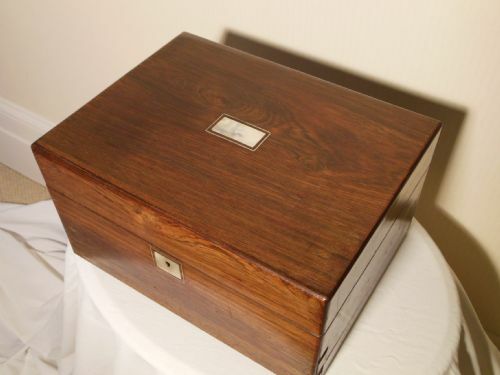 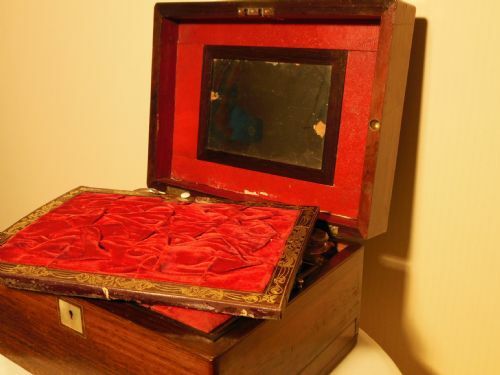 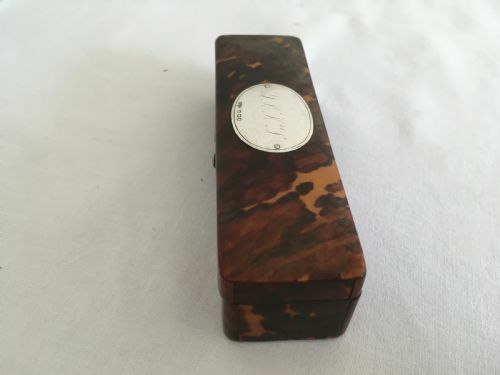 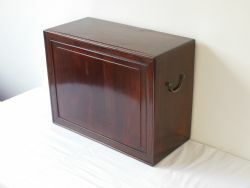 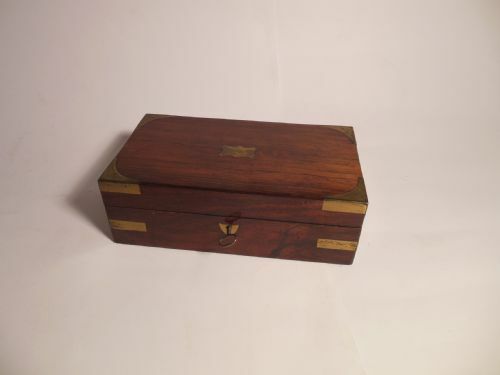 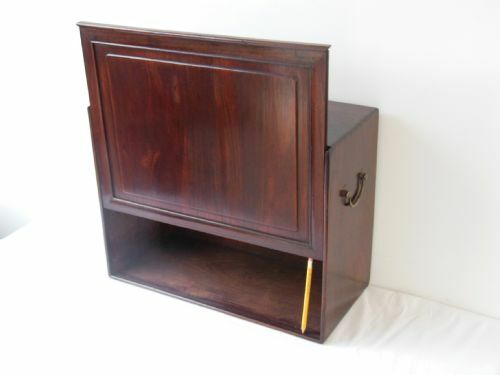 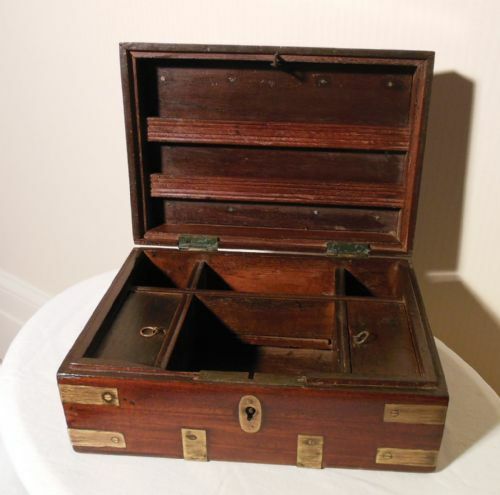 Small 19th century mahogany box for writing implements and other small desk top items, inside the top there is a leather covered retaining panel for keeping letters, the box has a key and a working lock. Very pretty and in excellent condition. 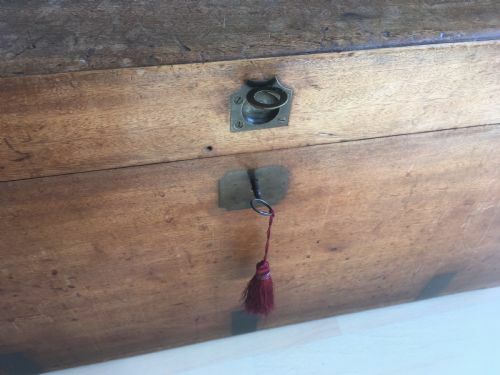 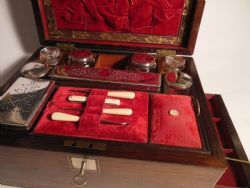 19th Century Indian or possibly Dutch Colonial, cash or jewellery box, divided into six compartments, two on either side are hinged, with key and working lock.